Join the South East team for the first networking event in Brighton this year. 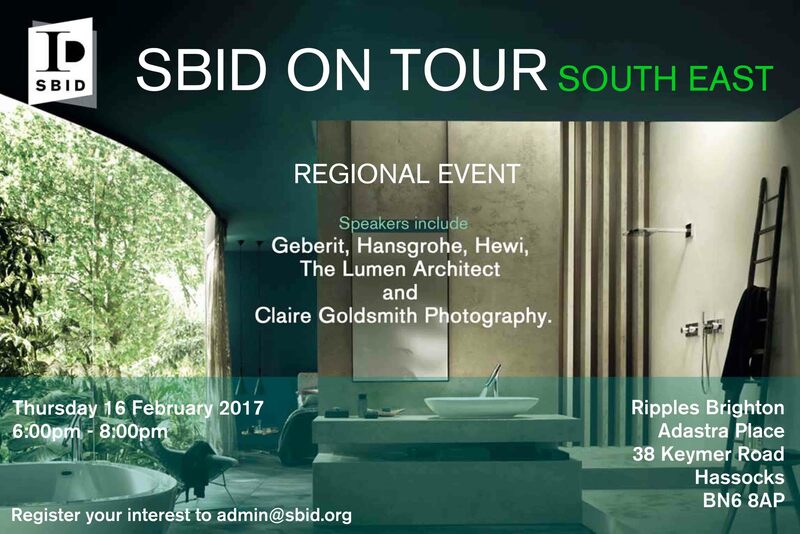 The evening will provide networking and learning with talks from key industry experts including Gerebit, Hansgrohe, Hewi and more. Aimed at designers and architects, this SBID ON TOUR event focuses on the varying aspects of bathroom design. Attendees will come away with deeper knowledge of selected products including those suitable for accessible schemes. Located in the diverse Ripples showroom space, the interactive evening will give guests the opportunity to engage with their presentation of interest, while networking over light refreshments.